The Adamawa state House if Assembly has passed a bill for a law to increase the retirement age of teachers of primary and secondary schools in the state. The passage of the bill followed a motion for the third reading, sponsored by the Majority Leader of the House,Hassan Barguma(APC-Hong constuency). The bill which was earlier sponsored by the member representing Verre constituency, Abdullahi Yapak was aimed at addressing the challenges faced by teachers in Adamawa especially those who retire and were still useful to the teaching profession. According to the sponsor, teachers employed at their youth stage, attain their retirement age while still productive hence the need to increase their retirement age from 60 to 65 of age and years in service from 35 to 40 years. He said that the bill, would equally benefit the students from acquiring efficient teaching techniques from the experienced teachers. According to him, It would curb the issue of frustration by teachers who retired early without getting their entitlements at appropriate time. “With the passage of the bill now,those teachers posted outside local government headquarters are entitle to 10% of their basic salary as allowance,’ He said. It would be recalled that the the leadership of Nigeria Union of Teachers(NUT) led by its chairman, Comrade Rodney Nathan had ealer advocated for the increment of teacher’s retirement age as well as years in service. Gov. 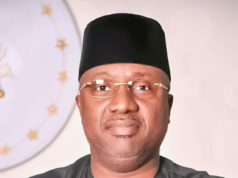 Mohammed Bindow of Adamawa promised to float an Executive Bill to the state legislature that would address the shortage of teachers in both primary and secondary schools in the state.